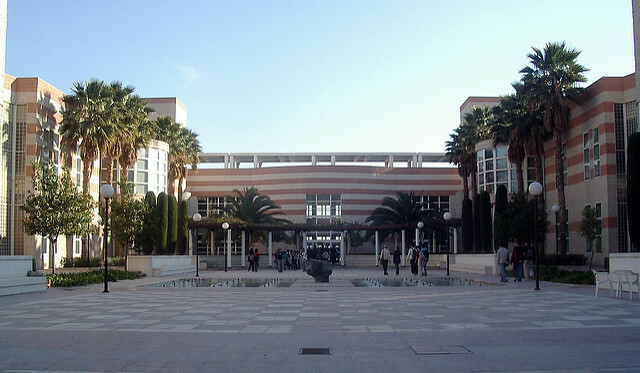 The University of Alicante is known for its large campus that is home to 6 different faculties (a big advantage is not having them spread out around the city) with almost 30, 000 students. When I saw it for the first time I thought: "this is a city for young people". The campus has well-maintained gardens, a pond with ducks, a gym with a pool and many different sports pitches, both interior and exterior ones. It has various libraries, especially the main one which has 3 floors and is really large, modern and accessible for wheelchairs. There are computer rooms, and quite a few restaurants and café's, etc. 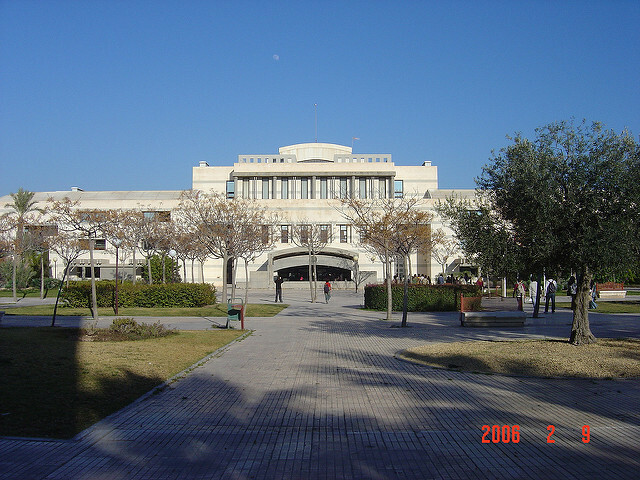 The University of Alicante was founded in 1978, however from 1968 there was a University Study Centre and before that, an airspace control centre. Nowadays, the control tower is the information centre for the language courses. The University of Alicante can be found in San Vicente del Raspeig, a town close to Alicante which is quite fairly priced; the landlords and rent costs are more than acceptable. I think that there are two main university halls close to campus (there could be more): "University Village", which is quite luxurious, and another more modest one. Furthermore, I also have to highlight the great weather we have all year round: it is almost always sunny, it rains very little and the winters are not too cold (last winter I hardly wore a coat). I study a joint-honours degree of Law and Business Administration (DADE) which for me, is not easy. I have to study so much, but that is due to the fact that I do a joint-honours and not a single honours course. I frequently see people who only study a single honours degree in the library working almost every day, but I don't dare to cast too many opinions on other degree courses (although the easiest course is definitely Primary Education - it is not hard to get into). ADE (Business Administration) is quite a lot more difficult for me than Law, although within Law there are different challenging topics such as Procedural Law and Commercial Law where we have to take oral exams on many different topics. I have frequently heard that the University of Alicante is one of the best in Europe for studying Law, as well as Economics and the surrounding areas. The prices fluctuate around €800 a year for a course. Something strange is that you have to pay for a new university ID card every year (they don't renew them) and I'm not sure why. In terms of the quality of the courses and the teaching, there is a bit of everything: the majority of them are serious, they don't waste time, they respond to your questions and help you (both online or in person), etc... Some are strict with continuous assessments, but you will usually learn more with this kind of teacher. In ADE they write on the whiteboard and you have to copy down and in Law they dictate information to you. For me, these are the methods that I don't like and they don't work very well, but each professor has their own method, like everyone does. There are lots of theatre trips and cultural activities on offer, especially in the Paraninfo (the theatre in the Law faculty). What I don't like about the facilities is the air conditioning: it is frequently broken or they don't turn it on in time, or the desk chairs are uncomfortable. They also had to close the Social Club I for cleanliness and hygiene issues, but they are already building a new one. Furthermore, they give too much time after the train arrives, it's way too slow and they can have communication problems from another town if the buses don't arrive at a certain time. At the university you can do different language courses (including Japanese), but they are a little expensive in my opinion: 300€ or maybe a little more for the course. Each faculty has rules, in Law you have the right to retake modules from the previous academic year in September-October, but not in ADE. In ADE we do final exams for every group on the same day at the same time and we use lots of extra large classrooms. In Law, we do more mid-term exams and continuous assessment and the dates of the exams can sometimes be negotiated with our professors. About Erasmus, I don't know much because in DADE there aren't any Erasmus students or mature students, but I do know that they organise parties on Facebook and sometimes I see Italians when I eat at the Social Club II. 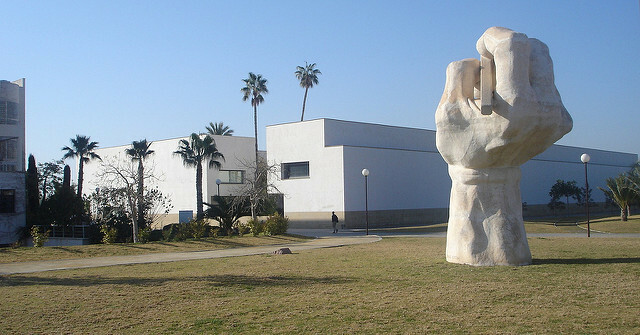 The other University in the province is the University of Miguel Hernández (UMH) in Elche that has headquarters in different towns: in Altea there's Art, San Juan is Physiotherapy, Medicine and Occupational Therapy, in Elche there is Journalism, and INEF). Almost all of the other courses are in the University of Alicante and we also have our own courses like Criminology (you can see all of the available courses on their website). Find out more with these links: www.ua.es and wikipedia. Share your Erasmus Experience in University of Alicante! If you know University of Alicante as native, traveler or as exchange student... share your opinion on University of Alicante! Rate different characteristics and share your experience.